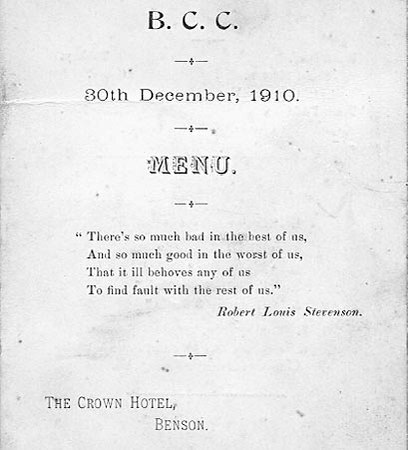 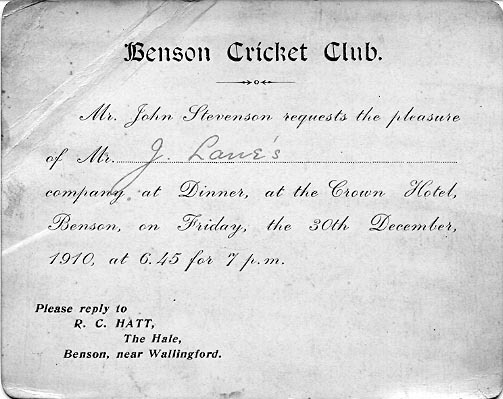 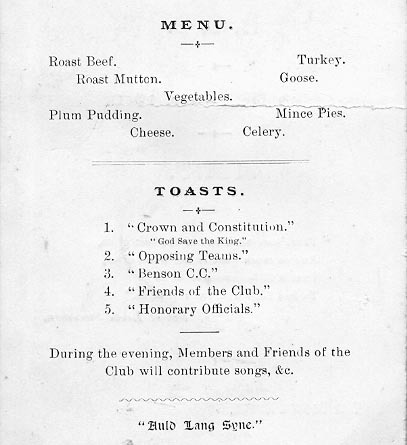 - Cricket Club Invitation - (BS0251) Invitation to BCC dinner at the Crown. 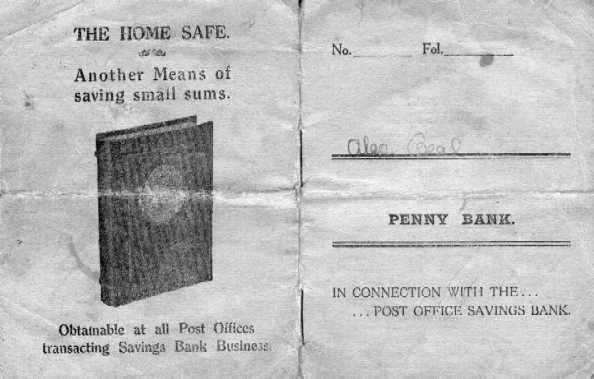 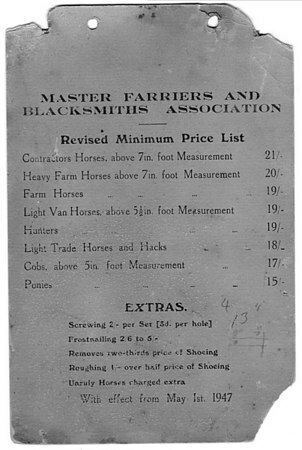 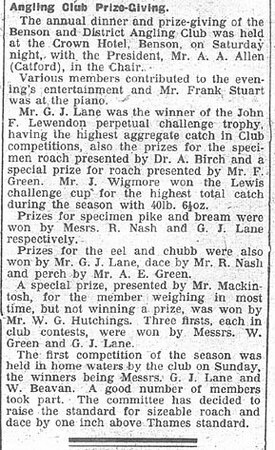 - Angling Club Prize Giving - (BS0271) News cutting from Berks& Oxon Advertiser 26 Jan 1936. 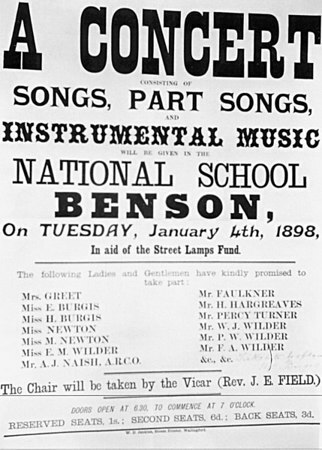 - Poster - (BS0288) Concert Benson School.